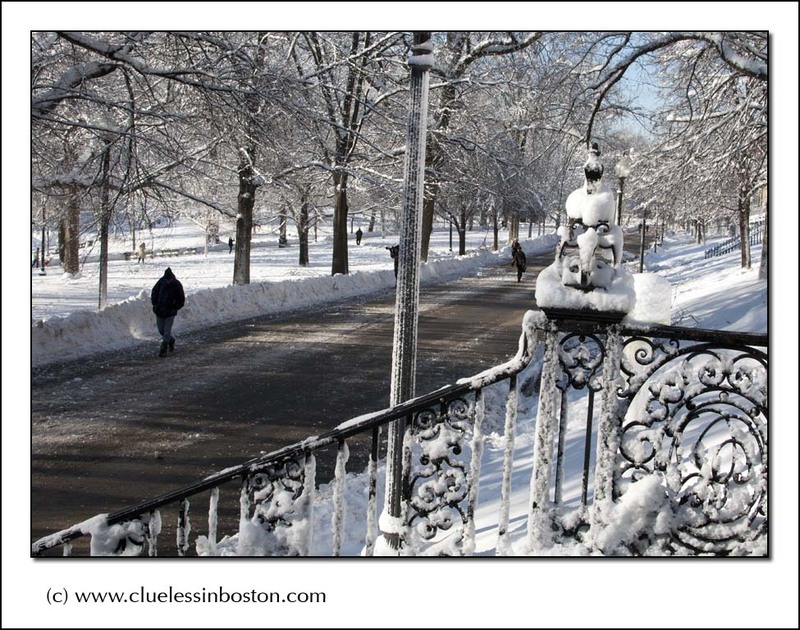 Snowy view of the Beacon Street Mall in the Common. Nice shot, but I think I'll let you keep the snow. isn't there something so pleasing about blue sky and fresh snow? New fallen snow on the Common. It's hard to go wrong there. A beautiful day and a nice shot!